It can get cool and breezy up in the mountains, even at the height of summer. When you get to the crest of the ridge after a hard, sweaty slog and the wind is whistling round your ears, a good insulated jacket is a must. The Mens OPOURI PEAK Jacket was made for the job. The jacket is filled with our environmentally friendly synthetic fibre insulation which provides a basic level of warmth. This is teamed with a windproof shell fabric which boosts the thermal performance. The jacket is so light and packable that it will fit in your waist pack. One of the pockets actually doubles as a stash pouch for the jacket. The flex inserts at the sides are a handy feature if have to do a bit of scrambling. 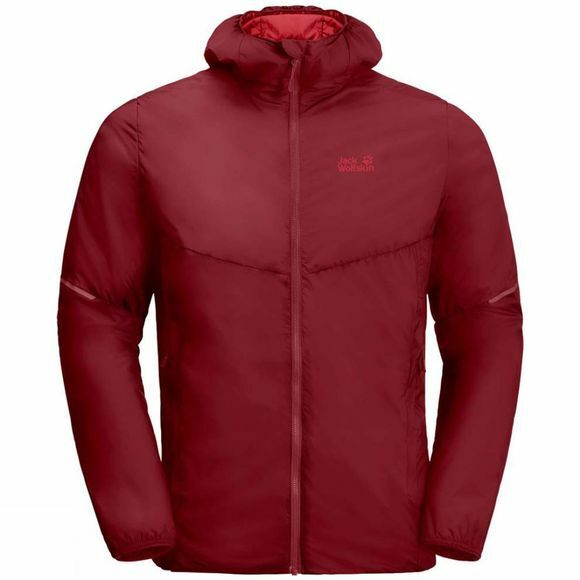 The Mens OPOURI PEAK Jacket can be worn on its own and makes a great back-up jacket for rest breaks. In wet weather you can wear it under your hardshell.